The Corsa Agency The Savage Agency-LA Trusik Talent Management, Inc. I wanted to thank you and your team (at Milwaukee John Casablancas and MTM Agency) for all their help this past weekend! They made our fashion shows a huge success! We appreciate all their time and efforts for this event. I know we had a lot of customers who saw the shows and many of them asking where the models were from (we were sure to advertise you!). Thank you so much. I have received pictures from the events in the stores and they looked awesome! The freeze modeling was great! I had many compliments from the store teams and they were so grateful and happy with the turnout. We are having another fashion show in August for Back to School. We would love to welcome everyone back for that! Thank you again for all your help in making this event so successful! I love seeing my classes bloom into the beautiful, confident people they become through the John Casablancas program. It is such a proud feeling to watch them in a fashion show or see them performing a monologue or see them going out to auditions. It's really great to see my students succeeding and following their dreams. I am very proud to be a part of that. I have just returned from a very successful scouting experience at John Casablancas-Chicago. Carmela Cullotta runs a very warm, friendly and professional school. Students are taught the fundamentals of acting and more. The John Casablancas students are taught how important it is to be on time. They are taught how to converse with adults in a direct yet amicable manner. All of the students gain a tremendous amount of confidence because of this school. This will not only help them as actors in the entertainment industry but also as students at their local schools. I was very impressed with the professionalism of the staff and students at John Casablancas-Chicago. It is easy for me to recommend this organization to all. I really enjoyed my scouting trip to Chicago. While it was freezing outside this past December, the energy level inside John Casablancas was red hot! It was a treat to see some fresh faces and talent. Carmela made the experience easy and very welcoming. I would definitely return to Chicago again! When I visited John Casablancas, Chicago, I expected to see a few truly strong young actors and many other kids simply trying their best to compete. The overall talent of this group surprised me - surpassing every showcase I have visited in the past decade! Hoping to find one excellent young actor for my roster, I now find myself struggling to choose from so many incredibly talented kids, I certainly will have to offer quite a few! Thank you again! I absolutely look forward to returning in the future knowing that top talented young actors will be ready to go! Being from Los Angeles, we see tons of talent and showcases with children , young actors and (some older ones thrown in there too for good measure), all the time. After seeing Carmela's John Casablanca's well-trained talent in Chicago, I wonder where this dynamo has been all these years!-----literally, training the talent! They were a breath of fresh air for us, especially knowing that someone cares enough to do their very best! Those of us industry professionals REALLY do appreciate all the hard work that it takes to groom a new talent into a viable sellable commodity for the various facets of Sho-Business. Looking forward to seeing more of these young people here and on the screen! Thank you again, Jean and Kathy, Page Management, Los Angeles/SanFrancisco, Calif. Awesome! That is the word to describe John Casablancas-Chicago. We are continually amazed with the professionalism of all of the John Casablancas actors. We have seen the John Casablancas actors at scouting weekends in Chicago, always totally prepared, always totally professional. We are impressed with their training. We have already discovered one young actor, Jonah Crosby. Jonah booked his first Los Angeles audition as an M.P. Management client, after CeCe Cline and Cassiopeia Productions auditioned him. This truly goes to show how tremendous the training is at John Casablancas. Carmela, Director of Education at John Casablancas, truly cares about her actors. One great school. One great director. I can honestly say that every actor I met at John Casablancas Chicago was outstanding. I could see that the John Casablancas classes had turned these actors into polished, confident and talented actors who have very bright futures in the entertainment industry and in life in general. Thank you to Carmela Lucarelli for her amazing organizational skills and for introducing us to this wonderful group of actors. I look forward to casting more of your students. Chicago's John Casablancas school has some great young developing talent. Many have a Chicago feel which is often appreciated when casting is specifically looking for that authentic essence in a role. Some just outright have the potential of the "It Factor". John Casablancas brings a large group of talent together to make my job of scouting talent much easier! John Casablancas Chicago is an excellent resource for parents who find themselves with a talented child! If you and your child need guidance and creative direction for a career in the Arts -- or if you just want to polish your child and get them ready for the world, John Casablancas Chicago is a great place to be affiliated with! We used five models for a couture bridal fashion show and could not have been more impressed! The models were polite, professional, energetic and gracious. Each model was in different stages with her training and experience, but they carried our designer gowns flawlessly. Maria and Lisa assisted me in cooridinating the perfect blend of models and were an absolute joy to work with. We look forward to pairing with John Casablancas again for future events...Thank you for everything! As always the talent I saw last week in at the John Casablanca Chicago location was exceptional! Their students were well prepared and focused. Hats off to their instructors for providing top notch training. I look forward to seeing my call backs in Los Angeles. Most importanly I would like to thank the staff for giving me the opportunity to visit their school and look forward to returning! Kelly and I had a very enjoyable and successful day at the John Casablancas in Chicago. Your students were prepared, looked darling, and for the most part had age appropriate pictures. Please thank your hard working staff for us! Our partnership with John Casablancas San Jose has been a great experience for our UnSung Diva! Production team. Our jobs producing our signature 'Fashion On The Square' event were made markedly improved by the diligent, tireless efforts of Dalena and her team. From advertising and hosting a local model call at their San Jose offices to serving as liaison with selected models and their families, they never hesitated to aid in any capacity. They are truly an invaluable resource. We look forward to continuing our partnership through model training and performance opportunities throughout the year. I have been an instructor for John Casablancas in Detroit for many years. I truly believe in the methodology of the instruction. Each students walks away with confidence and beauty, inside and out. The classes allow the students to eching our students turn to explore their talents and improve themselves to a level of professionalism. They gain a better understanding of the industry and helps them to decide which career path is best for them. It is wonderful and rewarding to watch our students turn into a proud 'professional' and to be excited about the work, the lessons and their future. Each one of my students become an instant "STAR" in my eyes! I am their biggest fan! Join us, be a part of something special and be a part of a growing industry in Michigan! I had the pleasure of attending a John Casablancas Chicago showcase this past weekend. I must say that I was more than impressed with the students training and professionalism. Carmela and the rest of the staff are incredibly passionate about their students and are a pleasure to work with. We are looking forward to coming back soon to meet new talent!! "I just loved meeting all of John Casablanca's students. I couldn't believe how many great kids we saw. They have a great eye and run a tight ship. Which we appreciate. I can't wait to go back to find my new stars!" I had the pleasure of attending a showcase last week at John Casablancas-Chicago and I must say that it was a rewarding experience. The kids were great, well prepared and totally focused on what they had to do. My callback list was quite long. And Carmela and her staff were very helpful and professional and they made a long day flow smoothly. My assistant and I felt totally welcome and at ease Thanks for a great time and I look forward to coming again. But not when it's cold, sleeting and gray! What's up with that? I recently had the pleasure of visiting John Casablancas, Chicago. I was very impressed with the training the students had received. Their students were prepared and delivered excellent performance and audition skills. I saw great talent and look forward to having some of their students travel to Los Angeles to further explore this side of the business. Thank you again! I had the pleasure of attending John Casablancas Chicago and seeing their terrific talent. Their students are properly prepared, well-trained and possess the right skills, techniques and traits necessary to audition in this business. The energy, attitude and atmosphere of the school was wonderful. I always look forward to going back and discovering more fantastic actors and models. John Casablancas Chicago brings talent to the table. The facility is fantastic, the staff is dedicated and the students are always well prepared; for acting AND for life." I have had the pleasure of working with the graduates from John Casablancas in Hartford, CT. The models were wonderful. The men and women were very professional in every aspect. They are always early for their fittings, rehearsals, and for the shows. When there is not a make-up artist available, their makeup application is always flawless. When it comes down to actually choreographing the show, the models are always on point, knowing the proper turns, stances, and various walks. I have worked with models from various places from North Carolina to Boston producing fashion shows for charity events. Now I book models from John Casablancas Hartford because I know that whatever show I put on it will be a success. Being a Makeup Artist instructor at John Casablanca�s Hartford for the past 5 years has allowed me to take the skills that I brought to the school to a higher level, which I might not have achieved on my own. As a result of my relationship with the professional and friendly staff I have become more effective as a teacher than I ever thought possible, and thus allowing me to achieve more and more of my goals. Through teaching I've begun to understand the difference and importance of being both an intellectual mentor and teaching from the heart, and the part each plays in being an effective instructor. I understand why caring about those who spend their hard earned money and time to advance themselves in the entertainment industry is such a critical factor in maintaining their trust and commitment. I've found that asking for input from my students and supervisors is a more effective technique than just dispensing information. I want to continue building on my skills as a teacher so I can continue to promote with confidence the students own professional and personal fulfillment. Sincerely Joby Rogers. It's so amazing when you can truly say you have been at the right place. John Casablancas Columbus is truly that place! My very first impression of Maria, the staff and the instructors was beyond my expectations. I had the pleasure of joining John Casablancas as an acting instructor and even my daughter attended the children modeling classes. The students had so much enthusiasism, committment and desire to learn. Seeing their diverse talents and growth each class made it so rewarding to be a part of their success. Now that I am in Los Angeles, I can truly say the education and training the students are receiving at John Casablancas Columbus has undoubtedly prepared them to audition well and book jobs. Its exciting seeing so many students from John Casablanca Columbus successfully book t.v., film, theatrical, commercial and modeling roles right here in Hollywood. Great job John Casablancas Columbus!!! I wanted to take the opportunity to say how great the models were on Saturday for the Southridge event. I don't know how the booking works, but I absolutely loved the 3 models I ended up with and the John Casablancas rep (Nancy) also. Cienna, Rachel, and Selena were amazing and we loved working with them. They are welcome for any of our bookings we have scheduled. I hope your girls had as much fun as we did and I'm working on even more fun events for the girls for the dates coming up. Your entire team at John Casablancas Milwaukee was a pleasure to work with. They were all amazing and wonderful with our store customers. The fashion show was perfect due to the professional models you sent. We will definitey get together again this year. After spending several years in Los Angeles working in the entertainment business, nothing has felt more rewarding than returning to Columbus and working as an instructor with John Casablancas Columbus. I can honestly say after meeting Maria Siebert, witnessing the passion of each instructor and then seeing the success of so many John Casablancas graduates, I knew immediately I was at the right place. It has been amazing watching so many students develop their talents, build their personal confidence and book both local and national modeling & acting jobs. John Casablancas is not only about educating and training, it is about changing lives! Doing photography and exeriencing the Cincinnati John Casablancas has been a rewarding experience. The owner and staff really care about the individuals that attend the school. 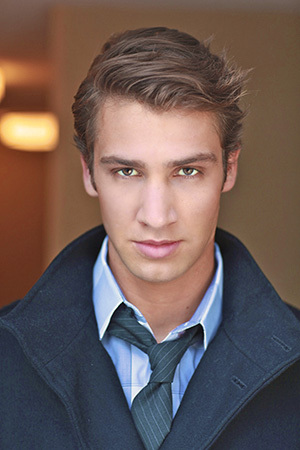 This John Casablancas also has placed many people within the agency. I don't have enough room to cite all the wonderful things about the Cincinnati John Casablancas. I have worked for John Casablancas & Bernie off and on as a freelancer for the past 25 years and have seen how this program has enriched and inspired so many young people. In a world of uncertainty I believe that John Casablancas levels some of the tools that young people need to go out and conquer the world! Everyone at the John Casablancas center was nice and helpful with what you needed. The instructors were funny when they needed to be and serious when they needed to be. The instructors were very helpful with getting you ready for whatever you were working on. Maria, the audition went incredibly well! We\\\'re going over the audition tapes today, and seeing who we would be interested in calling back. I can\\\'t thank you enough for the help and hospitality that you and your company provided. You were more than generous and if you don\\\'t mind I\\\'ll recommend your talent agency to all of the other groups, because you provided us with the best casting experience! Again, thank you so much, and I\\\'ll let you know if we\\\'re interested in casting anyone from your agency. Thanks again, and if you need anything please let me know! Dear Dalena & Francis, We just wanted to say thank you for all the help you've been providing us on our Bay Area events. You both are truly a pleasure to work with & especially your working models! THANK YOU!!! By far John Casablancas � Chicago, has some of the best young talent I have seen in a while. I am looking forward to seeing those wonderful actors, that I called back out here in my office real soon. In addition, I feel that it is necessary to make sure that I thank Carmela Lucarelli and her wonderful staff on making my visit very welcoming.Cheers! My name is Carren McNeal, and I am a instructor with John Casablancas Modeling Agency here in Memphis. I can honestly say that I love my job. Greg is the best manager in the world. He is always very professional, he is articulate, so he can never be misunderstood, his high- enegy level is enormous, and he is such a pleasure to work with because he is such an effective manager that loves his employees and students. We have a wonderful team and we respect each others personalities and creative styles. I currently have three jobs, not including school. When I say I love coming to Casablancas, I love it and wish that I could be here all the time. How can I forget to mention the students. They are simply wonderful and at times they motivate me to be the best that I can be. I worked years ago for John Casablancas In Columbus and to all the people that are reading this it is a wonderful place to go to learn about modeling and acting. I worked with Maria the current Mgr. and have to say that she knows what she is talking about. I worked as the Director of Education for many years there. I left working there to go and model in New York for about 5 years. You do learn a lot and its well worth the money that you pay. I was very impressed with my visit to John Casablanca's Chicago office. The staff really understands what it takes to prepare young talent to audition in front of industry guests. The kids I met with seemed to be having a blast and that's one of the most important things when it comes to child actors. I attended the John Casablanca Chicago school, scouting for new talent and had an excellent experience. The staff, headed by Carmela Lucarelli, was organized, friendly, and really cared about their students. The talent that I saw was very well-prepared and I e-mailed the school a list of my callbacks. Most of the callback students have already contacted me, which shows that the school is on top of things. Overall, I had a great trip and look forward to seeing the school again in the future. I started taking classes at the Charlotte center in 1997 (when I was 23) and even though I am not exactly "Model Material" (I am 5"4' and curvy) I auditioned for and was cast in several runway shows right after my 4th week of classes. Up until and after the time I graduated I did a lot of promotional modeling and eventually was referred to another agency who was able to secure film, television and music video work for me. At the same time, I actually began to teach at the center as well. I was able to use all of the knowledge that I was taught, and the information I picked up from my work as a model and actor, to help my students. I taught everything from runway, camera techniques, make-up, etiquette, auditioning and resume building. And all of the work I have secured during and since my time at John Casablancas has been a direct result of the training I received. In 2001 I left the center for Australia and within a year I started to build my own acting classes and talent agency based on what I learned in Charlotte. I have shared my experiences and professionalism with all of my students (in the USA and Australia) and find that production companies much prefer to use someone with experience and/or training than someone who doesn't know what they are doing. Now this industry isn't for those who need to be spoon fed...you have to have ambition and a good work ethic. But, the investment in yourself is worth it if you use it to its full advantage. And you will find that you will use your training from John Casablancas in all aspects of your life, not just in the entertainment industry. I've had the opportunity to work with John Casablancas of Seattle I worked as a makeup/modeling/acting coach for almost a year. It was fun. I loved the students and it helped me realize my talent for makeup and now I own my own company! John Casablancas will help you utilize the skills you currently have, and use them to your advantage. I have experience working with John Casablancas of Hartford, Connecticut. I find that the staff is out to make the students succeed! Everyone at the Center is wonderful and helpful. I have enjoyed working with the students and staff and would recommend the Center to anyone interested in the fashion industry! Since working at John Casablancas I've seen models of all works of life, be it young child who has big dreams of becoming the next big thing or the experienced model who has many jobs under their belts. Watching the models grow is the best part of the job, knowing that I helped in that is great. I look forward to working with people who have dreams of becoming the next big thing. I am writing this testimonial as a 14 year teacher for John Casablancas of Connecticut. Before that, I taught for a competitor from 1978-1982. The quality of the staff, teachers and curriculum surpasses the quality of any competition. Our students graduate with the tools necessary to be successful in the modelng industry whether it is TV, Runway, or Photography. This is a Center that cares! It is soooo wonderful to be apart of the John Casablancas family. I graduated from the Female Modeling course at the John Casablancas Center in San Diego, CA. Shortly after that, I moved to Phoenix, AZ. I wanted to continue working in the industry & I am thankful I was blessed with a job as a modeling instructor at the John Casablancas Center in Scottsdale, AZ. Here I focus on runway & make-up, but working with our "future" (which are our students) is what excites me the most. Their energy, their hunger, their anxiety to learn about the industry is what makes me want to be the best instructor for them. When I was a student, I would look forward to my classes & what I would learn that day. I know these students do the same. It is my job to provide them with the best & most accurate information to get them prepared for this industry.........and it's the day of graduation where I see the results of that. It is a blessing to be a part of an organization that can change a persons life & change it for the better. I could work for John Casablancas forever!!! That's just how great they've been to me, and just how much they've changed my life........for the better! JOHN CASABLANCAS FOREVER!!!!! We have the pleasure of working with Tina Kiniry and her wonderful team at John Casablancas Connecticut. In recent years, we have scouted an exceptional and unique group of Men and Women. We look forward to finding more great faces, in the future. Nigel Director - Men + Women RENEGADE Model Mgmt. John Casablancas has afforded me the opportunity to utilize my skills as a model, instructor and launched a career as a commercial acting coach. I have had many successful students who have achieved their dreams and goals through their experiences and training at our Center. Being with the agency for the past 20 years has brought me to a part in my life I never thought I could achieve. It has enlightened me as a woman to value my self worth. I owe a great deal to John Casablancas and the wonderful staff and instructors who have worked hard to keep J.C. of Hartford the #1 agency in the country.